A manned messaging service is a service that is offered to businesses – principally small or sole traders – which acts in the same way as a receptionist would by taking messages and answering telephone calls for their clients. This service – although not as popular as they once were because of advances in mobile and answering machine technology – allows the caller to speak to a human being and leave a more detailed message than they would be able to on an answering machine. Who Would Use a Manned Messaging Service? You will find that Manned Messaging Services are normally used – as we have already mentioned – by small businesses with perhaps one or two staff who are on the road a lot, a sole trader who cannot afford to have an office based set-up and also doctors and other professionals. Doctors and consultants often use these services so that details messages can be taken regarding appointments with their patients and home visits where as much information as possible is vital. It should be said however that this applies more to private patients as the National Health Service operates their own version of this called NHS Direct. How Would I Use Such a Service? If you acquired the services of a Manned Messaging Service you would most likely have a dedicated telephone number which when called shows up as your number in the offices of the service. In this way the individual manning the telephone would be able to answer the telephone in any manner you saw fit, perhaps listing the number as the offices of ‘XYZ’ for example. 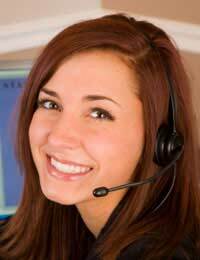 In essence the service is that of a receptionist without having a receptionist working for you. As we know having a receptionist implies that one has an office and this is not always possible because of logistics and finances. What If I am Not Contactable? In the event that you –as the client of the Manned Messaging Service – were not available they would simply take messages for you. This is most likely to be the case if you went on holiday for example or perhaps were ill. The Manned Messaging Service would take messages and then provide you with a call list at the end of the day – normally in spreadsheet form attached to an email – and would detail the caller, their number, the time of their call and any message that was left. The service can also be used in reverse – with your representative calling customers or clients on your behalf and making appointments or simply making courtesy calls to keep up with customer service requirements. Would I Have to Enter into an Agreement with a Manned Messaging Service? It is more than likely that this service – which operates like a bureau – would require you sign up for a period of perhaps three, six or twelve months. It is important from the outset if you are interested in using such a service that you explore all the avenues and details of any contracts etc before entering into any agreement. It is also wise to enter into a confidentiality agreement that they must sign to ensure that details of your clients and business interests remain private although this is usually standard practice anyway.